Everyone’s on social media, so it’s no surprise that it can have a profound effect on both your sales and your SEO. With the correct strategies in place, you can see a rise in your profit and growth, as well as in your domain authority and your ranking. Succeeding on social media relies on a visible brand presence and high-quality content — and this effort pays off. To that end, here are some ideas to get you started. Not every social media platform is created equal. Some are fabulous for small businesses and lifestyle products, whereas others are more suited to B2B companies and professional services. Social media can work wonders for your SEO and your sales, but only if you’re in the right place. Spend some time working out where your target audience likes to spend its time and concentrate your efforts there. Your number of followers and connections has a significant influence on your rankings. Think about it: a company with 50 followers won’t receive the same amount of engagement and authority as one with over a million. It’s not as easy as just buying a few thousand followers, though: Google knows the quality of your followers. Instead, you need to grow your community organically. It’s a slow process, but it’s effective if you’re consistent with your strategy and posts. From posting unique, interesting and helpful content to talking to your customers, there are many actions you can take to incrementally attract more followers. Your community doesn’t just stop at followers, though. Using social influencers effectively can be immensely powerful. According to one study, almost 40 percent of Twitter users wanted to purchase a product after seeing an influencer post about it. This is a great way to boost your sales. Work out an influencer marketing strategy and watch as your customer base grows. You can do try different approaches: feature your product in an influencer’s photos or videos, or ask them to post about their experiences with you. You can also look at more natural social proof content, such as reviews or tutorials. You should also give a lot of thought to how influencers can provide you with authentic and high-quality links. By posting great content in the same online spaces they use, you’ll stand a good chance of getting their attention, leading to them sharing your work through social media and (if you’re lucky) their high-value personal websites. On social media, people want to see new content regularly. You’ll need to create a social editorial calendar to keep up with demand, and to ensure you’re posting relevant content. By doing so, you can encourage more sites to link back to what you’ve created. And as you start growing your number of diverse external links, your authority will increase accordingly. This increased authority won’t stop with external links, though. Social sharing is just as important for validating your brand or content, and can improve your domain authority. As such, the more people you can get to like and share your posts, the better. There are several ways to do this, from posting relatable, interesting content to organizing ‘like and share’ competitions. The more people share your content, the more new followers you’ll pick up, and the more followers you get, the more shares you’ll receive. It’s a cycle that will feed into itself and eventually produce a solid, engaged community. Social media is a great way to listen to your customers and get insight into what they’re thinking. It’s a treasure-trove of data waiting to be unlocked: you can find out a great deal about your brand, competitors and industry. In addition, you’ll be able to see what kinds of content your followers are looking for and identify gaps in your content portfolio. If your business model is established, then social listening is a great way to solve your prospective customers’ troubles. Discover what their problems are and see if your products or services can solve them. You might even get a lightbulb moment around creating something entirely new to better meet their needs. If you’re working to get a totally fresh business off the ground, or getting started with a store purchased as an asset (website flipping has become common in the ecommerce world — find a business under $5k, make $2k profit from sales, sell it on for $6k, etc. ), then you’ll benefit greatly from following existing conversations from people in your target market. By the time you start rolling out a comprehensive marketing strategy, you’ll have a well-rounded idea of what your target audience is looking for. Working with your customers is a powerful way to grow your sales using social media. According to a study carried out by Olapic, 70 percent of US-based consumers are more likely to purchase a product after seeing a relatable or positive image created by other customers. We all know how the customer buying journey works, and more often than not, it includes serious research into the product — usually involving content written by other consumers. These customer-generated reviews can help ease anxieties and concerns around buying from a new brand or investing in an expensive product. If you can encourage your customers to share their reviews, posts and images, then you’ll have an arsenal of user-generated content at your disposal. You can share this yourself, or simply repost it from your customers’ accounts. If you excel at interacting with your audience, you could win some powerful brand advocates. 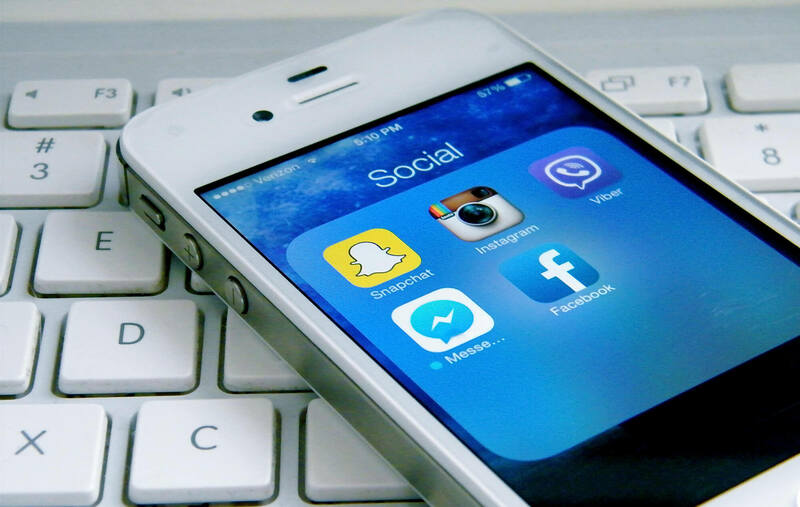 If you’re generating great content and engaging with your followers and customers but still not seeing a huge rise in followers, you should consider social advertising. It’s an effective way to reach new audiences who may never stumble across you otherwise, and the increased visibility will be a huge assistance in lifting your sales. Be aware that platforms have different ways of advertising. On Instagram you can have your content appear in Stories, as well as in people’s feeds, while on LinkedIn you can send direct messages through InMail in addition to distributing sponsored posts. Social advertising can often be the best way to take a new or unknown business into online prominence. Social media gives you the chance to mold your brand the way you want. It allows you to convey your vision, values and personality by linking you directly with your customers. For any business — whether it’s a startup, a personal project, or a complete rebuild — it’s a key tool for both SEO and sales strategy. Get it right, and you’ll forge a business with happy and engaged customers who like not only your products or services but also your brand. Patrick Foster is a writer and ecommerce expert from Ecommerce Tips — a forward-thinking blog all about helping people navigate the present and future of the online retail industry. You can check out the latest news on Twitter @myecommercetips.